4 Bed/2 bath ranch in Godfrey. 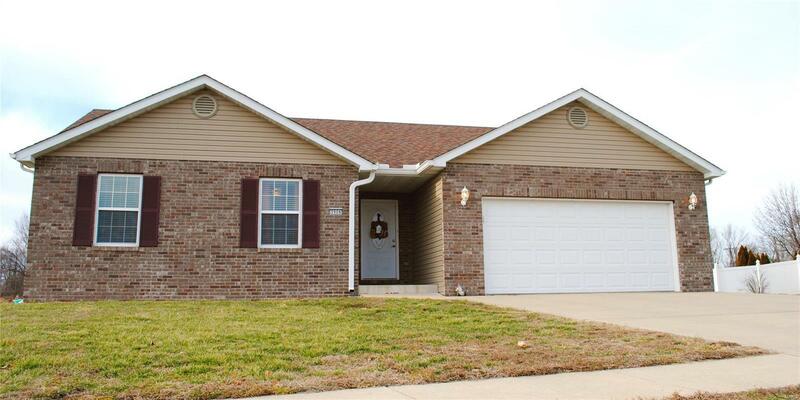 Located in a quiet subdivision but conveniently located just a mile from the interstate. Main level boasts an open floor plan living area with a gas fireplace. The kitchen comes with stainless steel appliances. The master bedroom has a spacious walk-in closet and the attached en suite has a separate shower and jetted-tub for relaxing. The recently finished lower level has two additional living spaces, as well as a 4th bedroom and has roughed-in plumbing to easily add a third bathroom. All of this on just under a half-acre that backs to farmland. All information is deemed reliable but buyer should verify all information and not rely solely on the information contained in this listing.